Get your ID in Four Easy Steps! Are you a fitness center newbie? Can't make it during office hours? 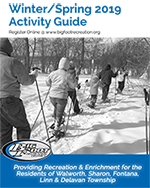 Contact the recreation office for accommodations. 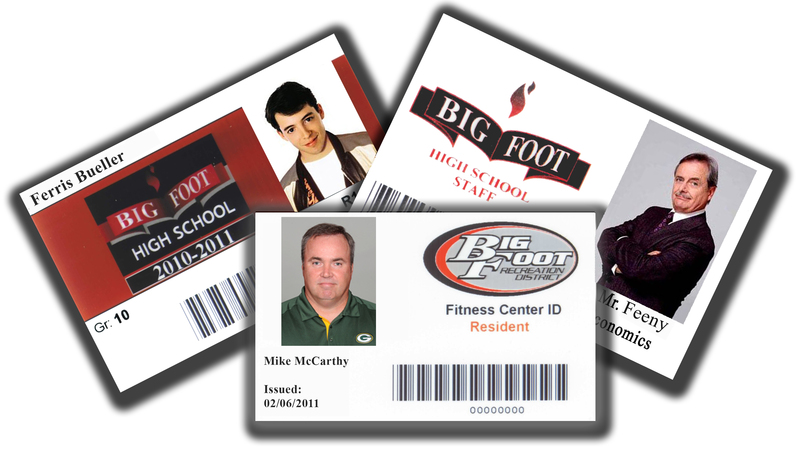 The Big Foot High School Fitness Center membership rates are the best deal in the area. Residents of the Big Foot High School District...FREE! The Fitness Center and East Gym are open and accessible to the community during scheduled hours throughout the entire year. Open gym availability is subject to change due to sport schedules. Participants are required to read, sign, and date a liability waiver that states you are responsible for your own actions. A parent/guardian must sign the waiver if you are under the age of 18. Participants must be at least a freshman at Big Foot High School to utilize the facility. Please bring a photo ID with your name, address, and picture to prove that you are a resident of the Big Foot School District during regular Recreation Office hours. Non-Residents may use the facilities by paying a $5.00 daily fee or may purchase a monthly membership. Passes must be purchased in the Recreation Office located adjacent to the Fitness Center entrance during regular office hours. Not sure if you're a resident? Check the Big Foot School District map.